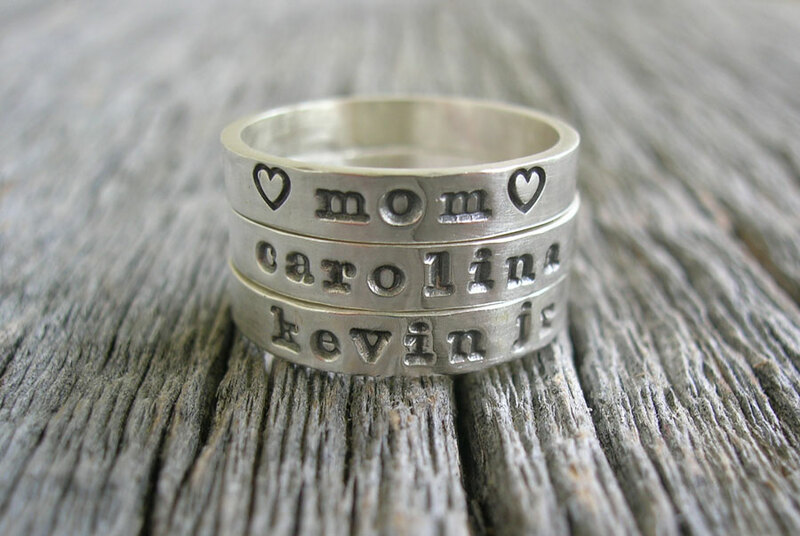 I love wearing my personalized ring, so much I wear one on each hand.It is so nice to remember those important to you or even a date, or special phrase. 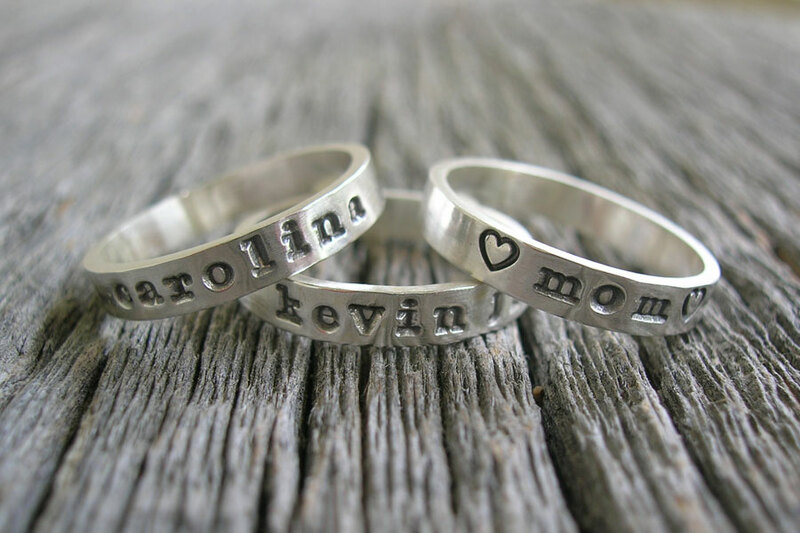 You will receive a personalized ring in your size requested. I make each ring so any size from 4-11 and half sizes are welcomed. 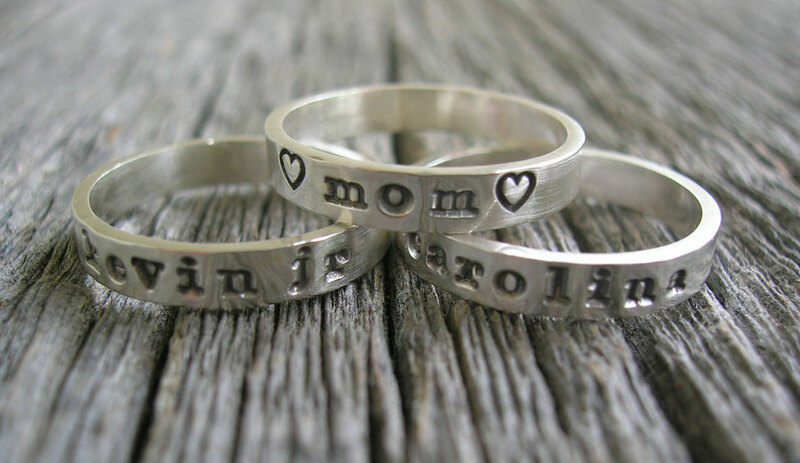 Rings are 3 mm wide and 1mm thick and fun to stack. Symbols I have to fit are: outline heart, solid heart, moon/star, paw print, cross, ampersand, plus sign, dash, longitude and latitude. Size will determine the amount of lettering that will fit. ***ALSO text can be inside instead but please note that with your order otherwise it will be on the outside. Please include spaces as a character and hearts should be counted as 2 characters. Example I love you is 10 characters.